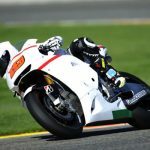 Gresini announced the re-signing of racer Michele Pirro, with a promotion from the Moto2 class to the premiere MotoGP class. 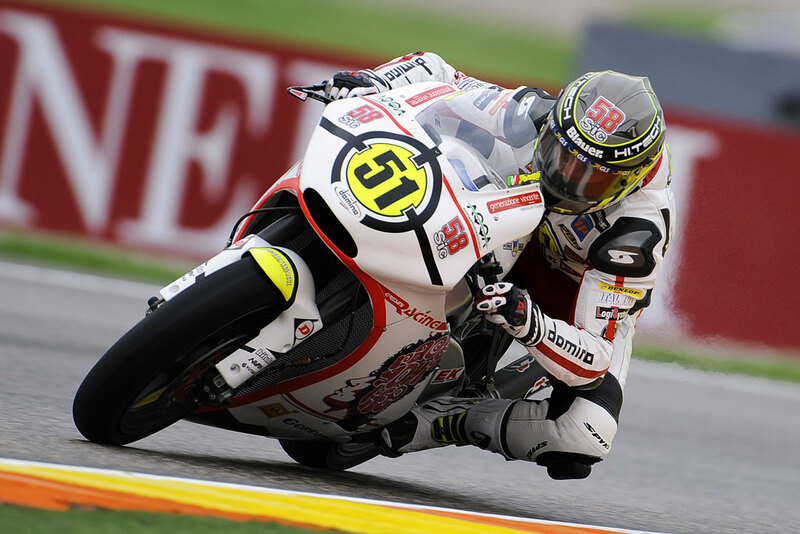 Pirro raced for Gresini in the Moto2 class in 2011, finishing ninth overall with a third place finish and a victory in the season-ending Valencia round. 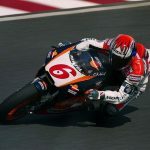 For 2012, Pirro will compete in the MotoGP class riding a CRT bike with an FTR chassis and a Honda CBR1000RR engine. The 25-year-old Italian racer will join teammate Alvaro Bautista who recently signed with the team to ride a non-factory supported Honda RC213V. 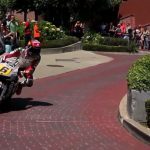 Pirro says he was initially planning to remain another year in the Moto2 class. After the death of Marco Simoncelli however, Gresini wanted an Italian rider to appeal to its sponsors. Pirro’s familiarity with the team made him a logical choice to ride alongside the Spanish-born Bautista. 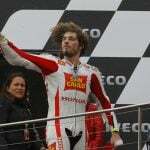 Pirro’s victory at Valencia was an emotional one for Gresini racing, coming the round after the tragic Malaysian Grand Prix where Simoncelli died.